Uncle Milton - Star Wars Science - Jedi Force Levitator Just $15 Down From $25! You are here: Home / Great Deals / Amazon Deals / Uncle Milton – Star Wars Science – Jedi Force Levitator Just $15 Down From $25! 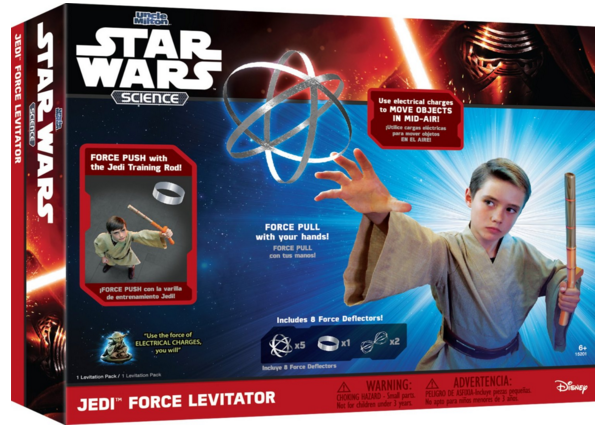 Uncle Milton – Star Wars Science – Jedi Force Levitator Just $15 Down From $25! Head over to Amazon and score this neat deal on Uncle Milton – Star Wars Science – Jedi Force Levitator just $15 down from $25! Get yours now while it lasts! Suspend and move objects in mid-air using real electrostatic force! Thank You, Hip 2 Save!